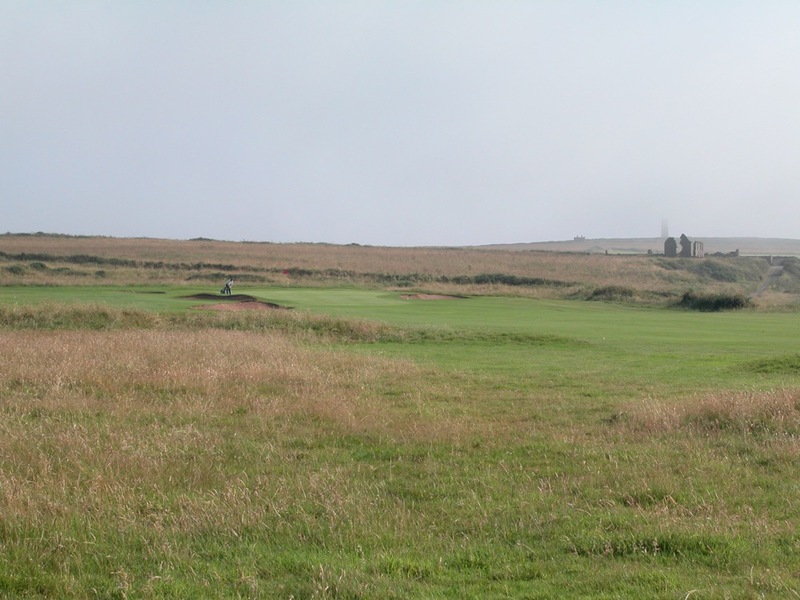 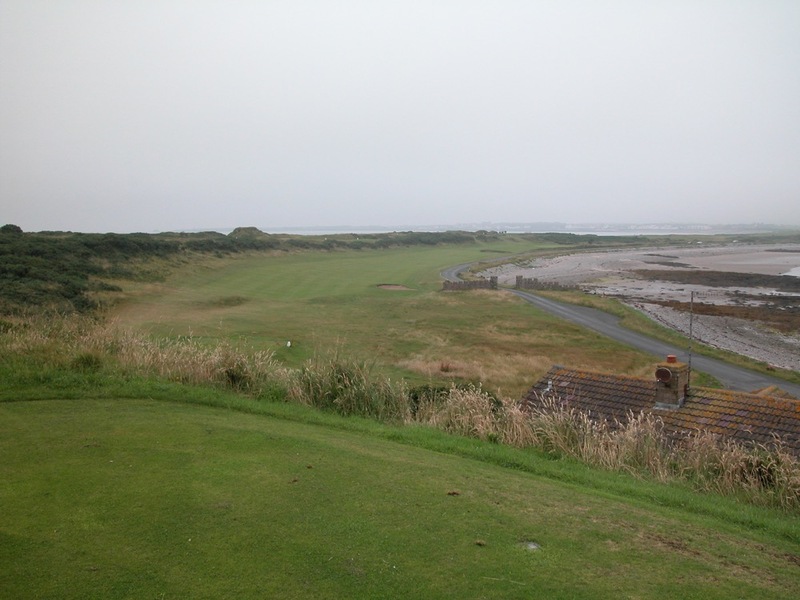 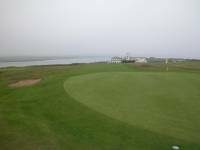 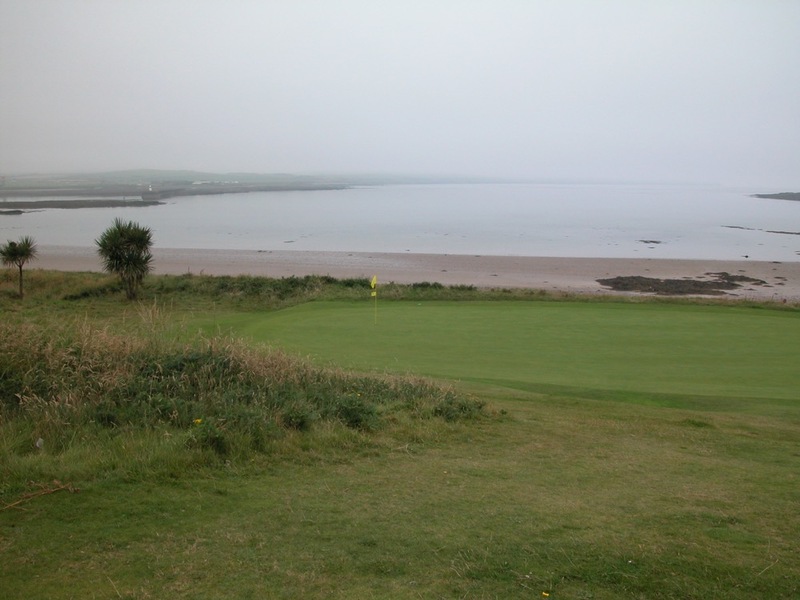 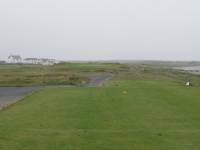 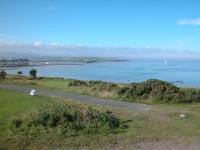 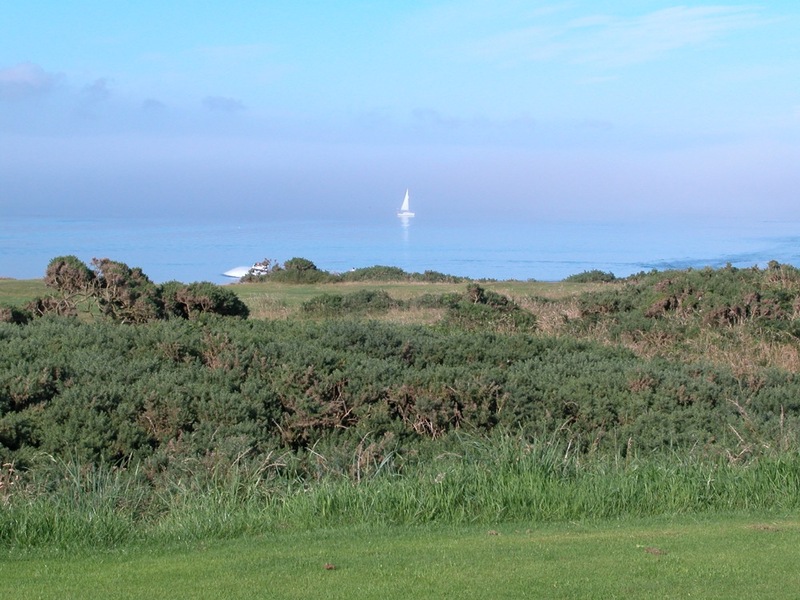 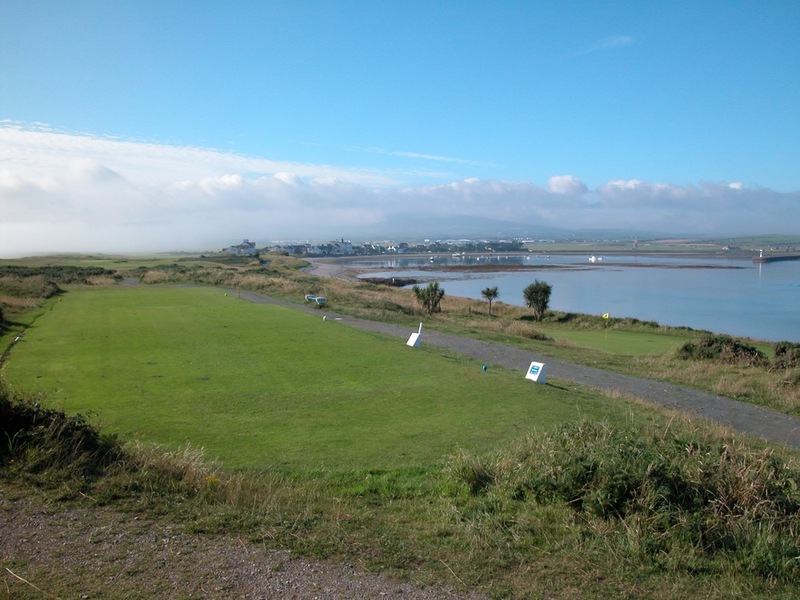 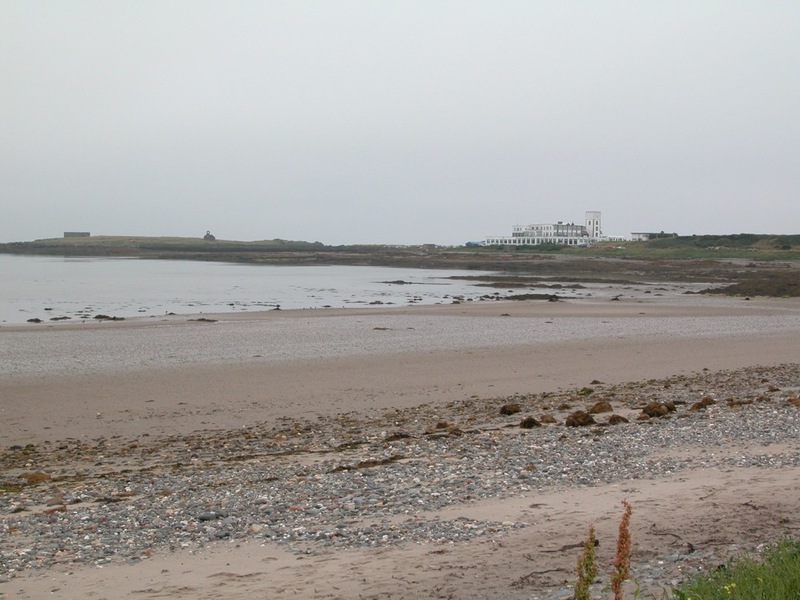 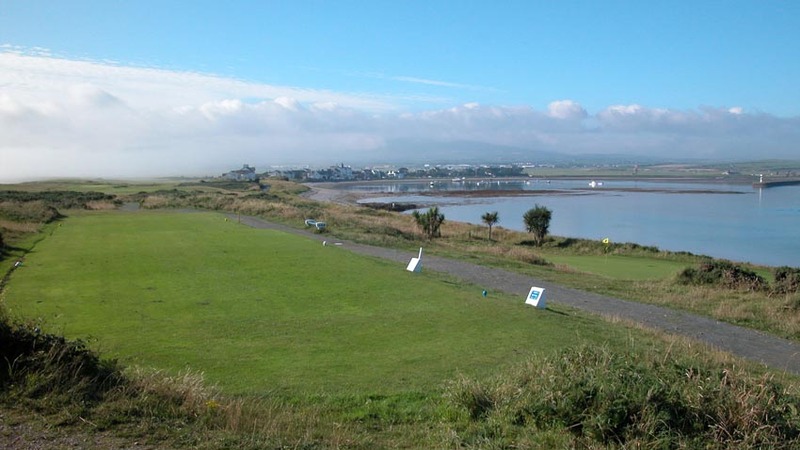 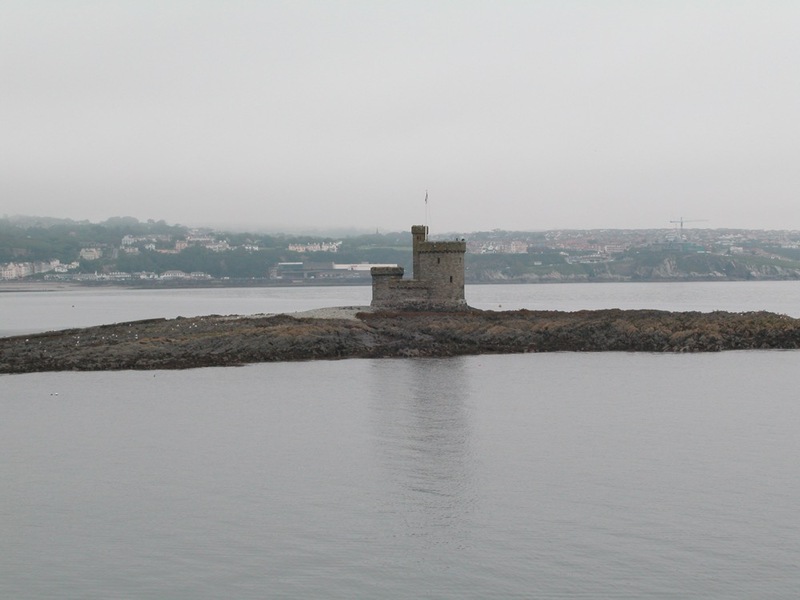 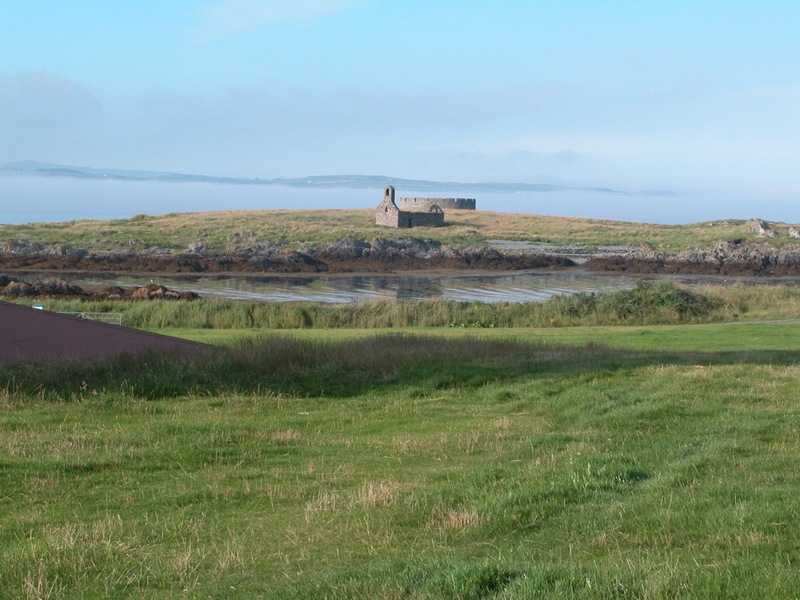 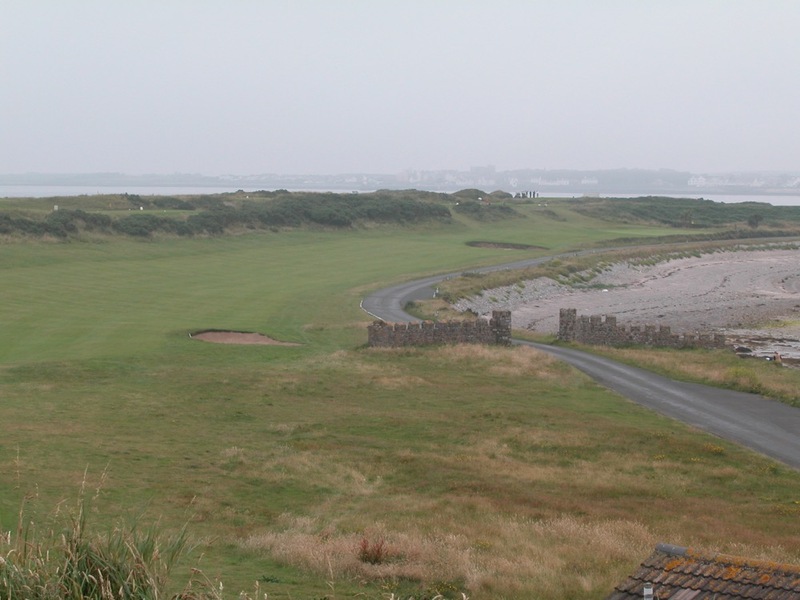 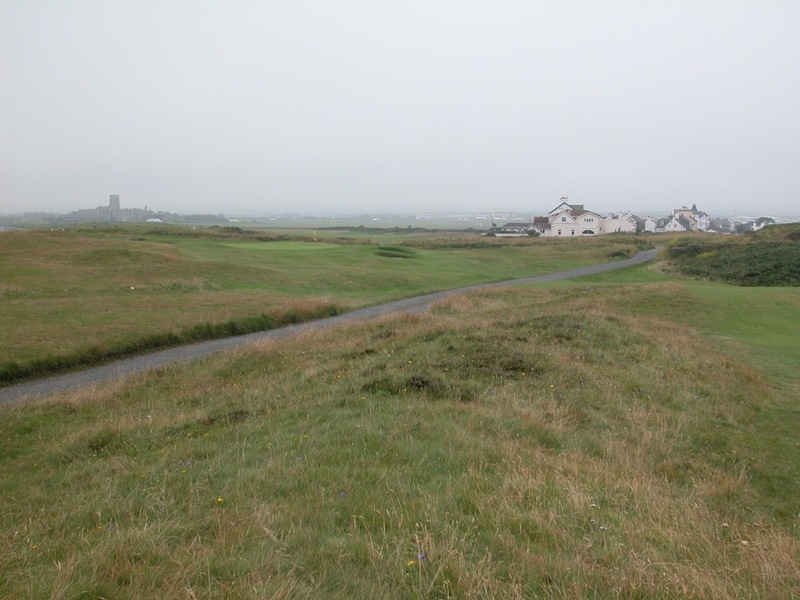 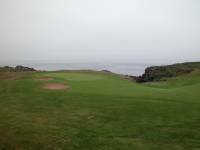 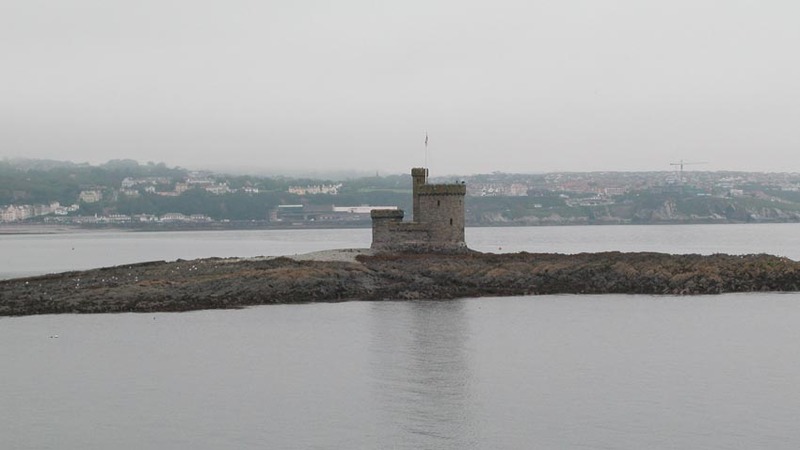 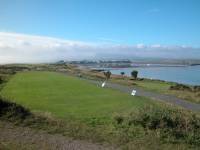 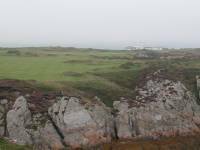 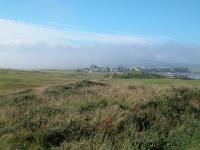 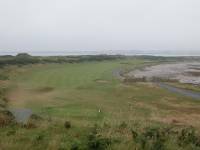 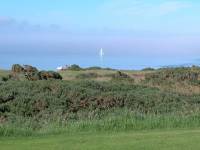 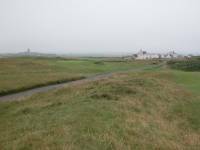 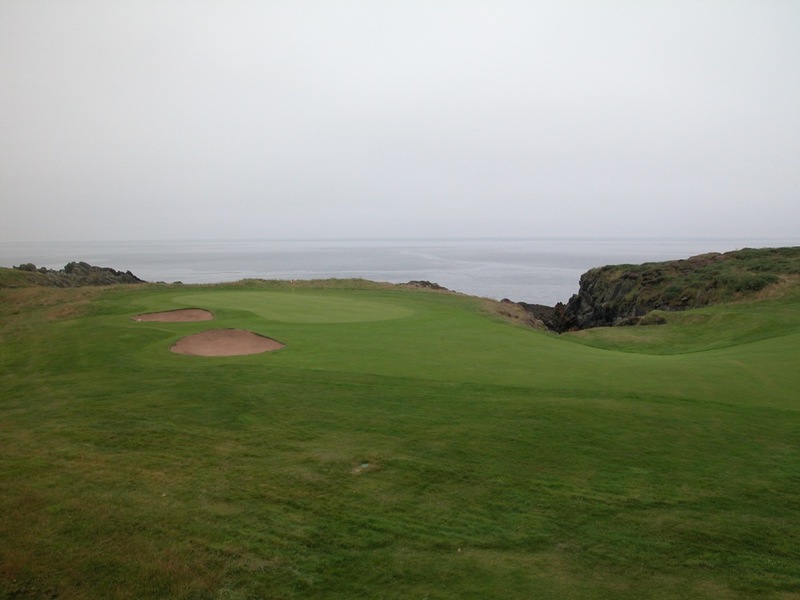 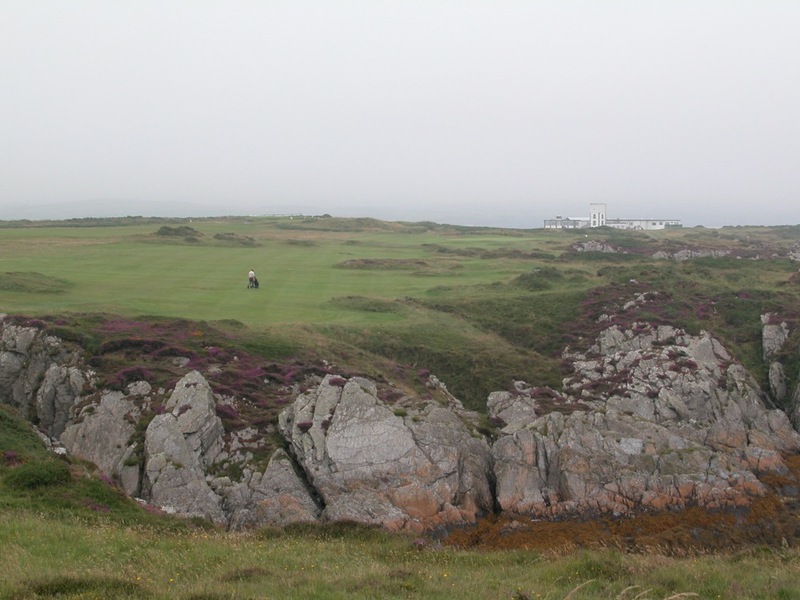 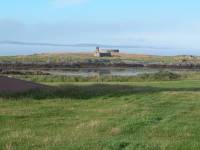 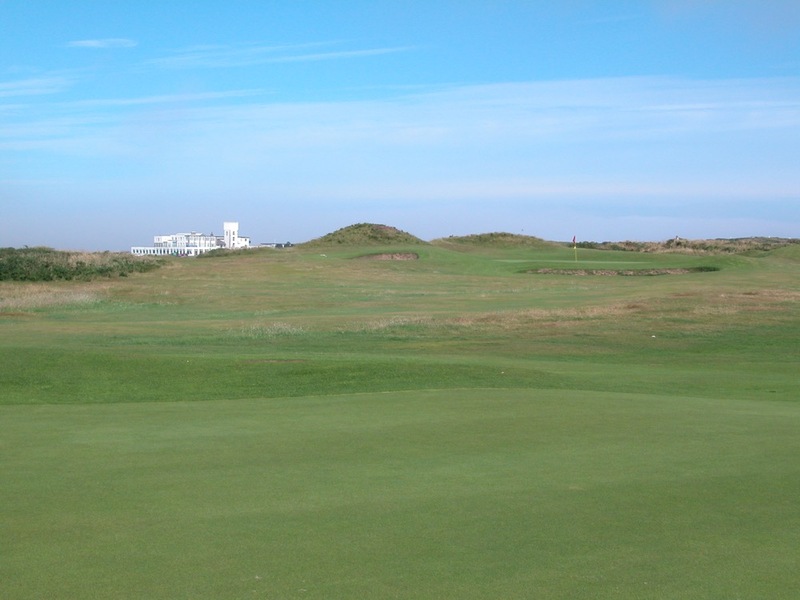 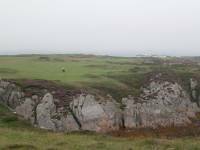 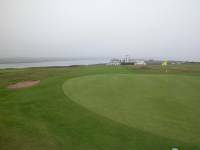 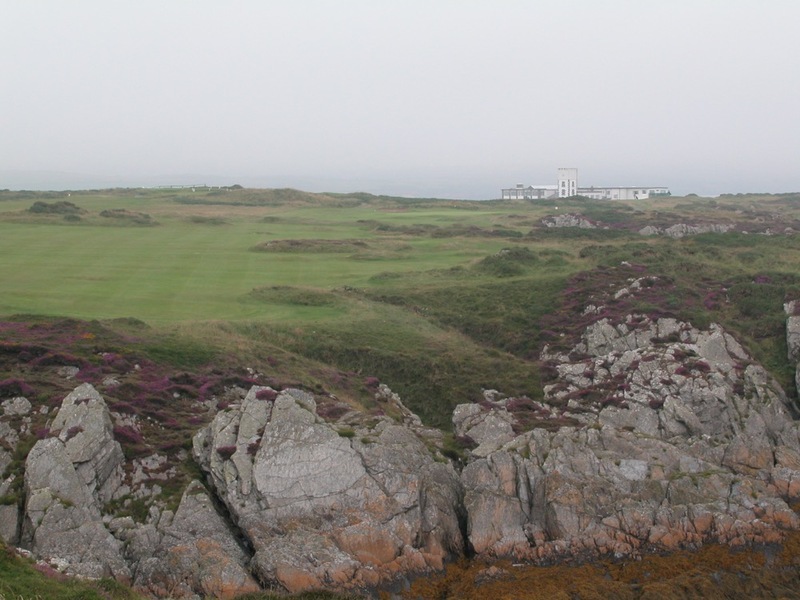 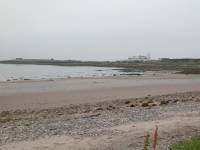 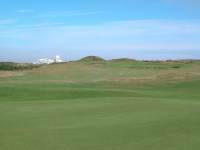 We have placed Castletown Links in our England golf section but Castletown Links is actually stranded in the middle of the Irish Sea, sometimes cloaked by fog and always shrouded with mystery, on a giant rock called the Isle of Man. 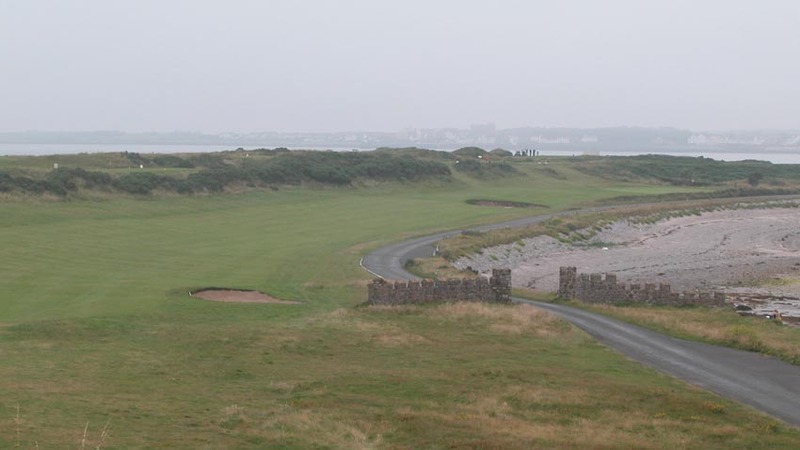 Here, on this haven for offshore business that is home to one of Europe’s proudest populations, Castletown Links flourishes as one of golf’s ultimate “hidden links”. 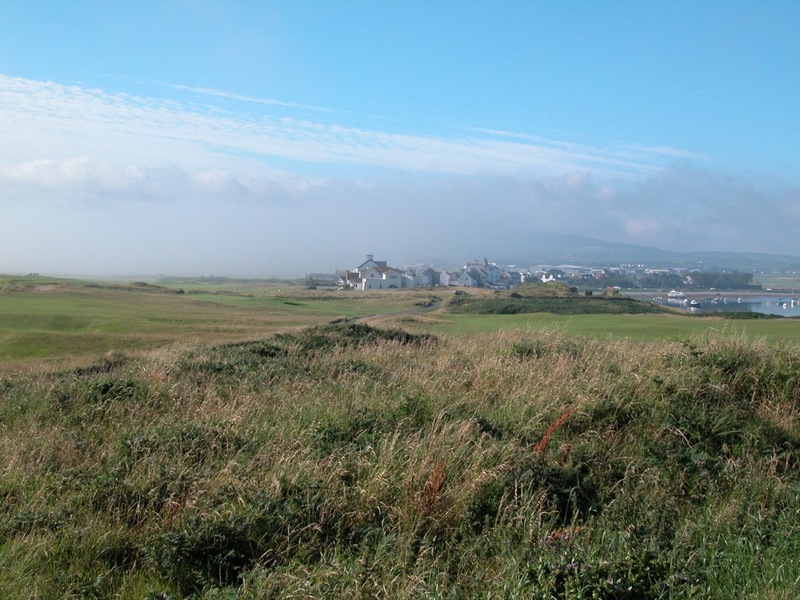 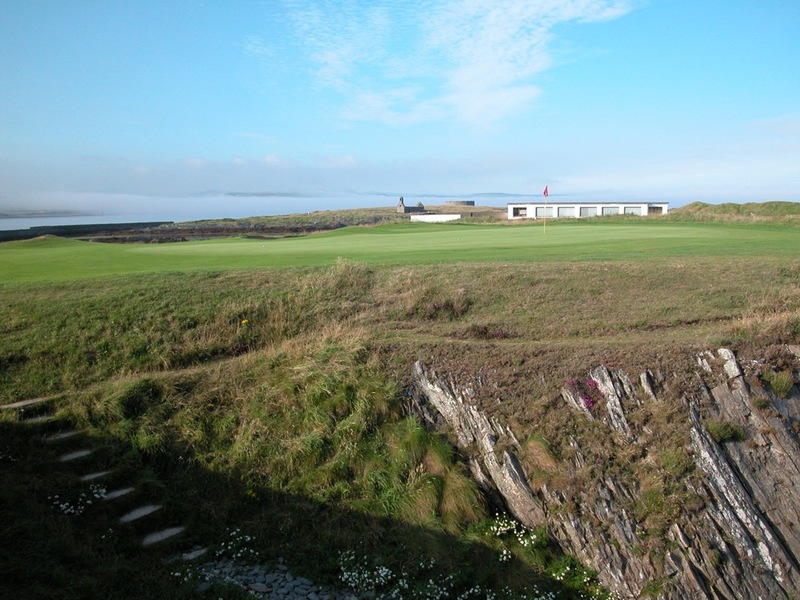 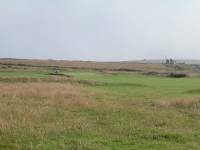 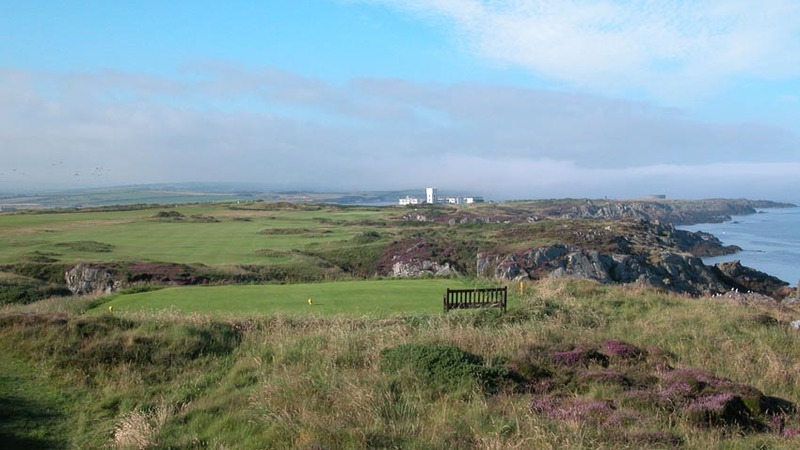 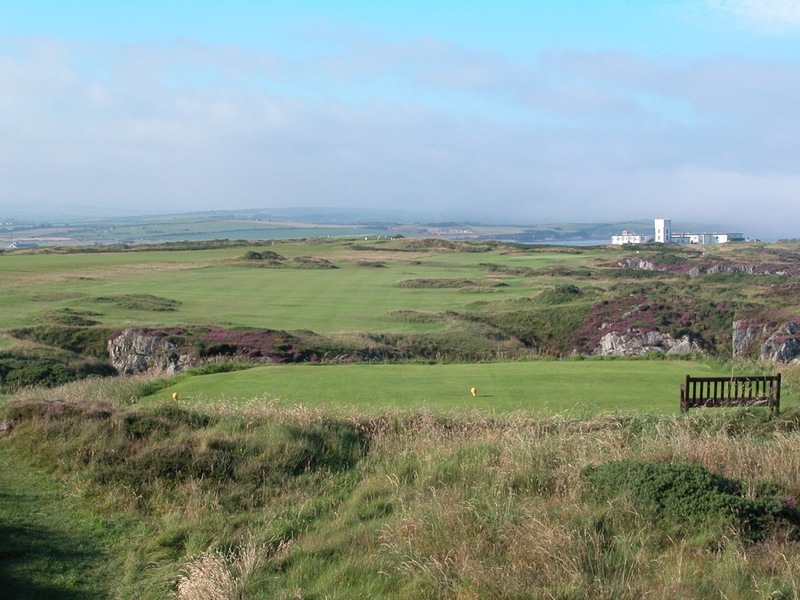 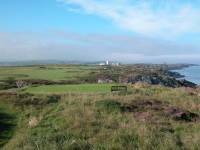 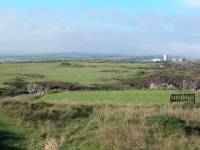 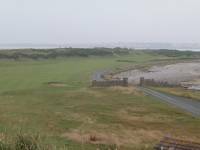 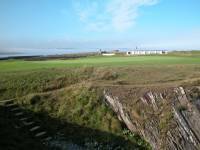 Few overseas golfers have even heard of the Isle of Man, yet alone made a visit here, so those that do have the opportunity to experience something virtually nobody else has—a clifftop links, surrounded by water on three sides, features that make Castletown Links one of golf’s most spectacular courses. 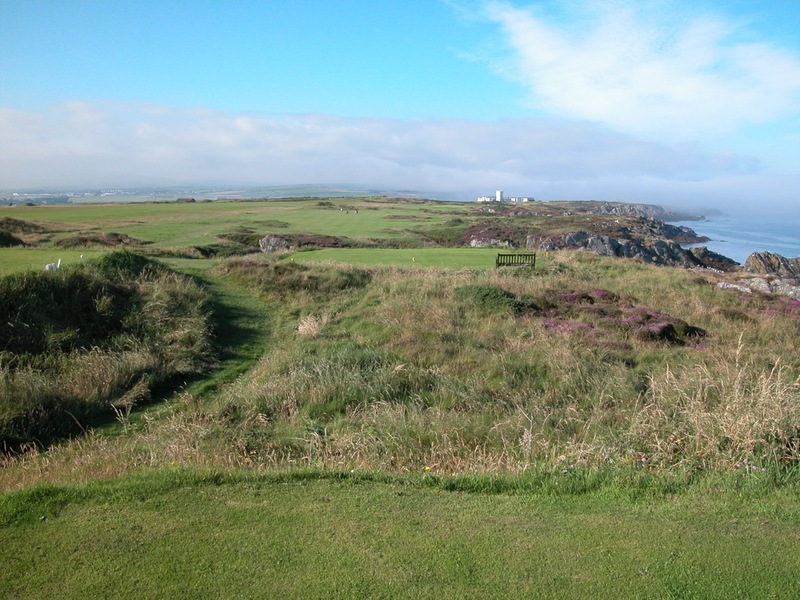 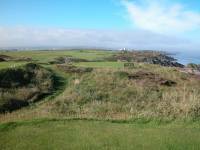 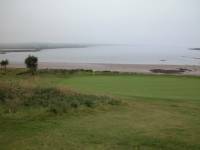 The view from the 17th tee at Castletown Links is especially memorable and distinctive, high on the rocky cliffs with the sea to the right, the distant Castletown Golf Links Hotel marking the right edge of the green. 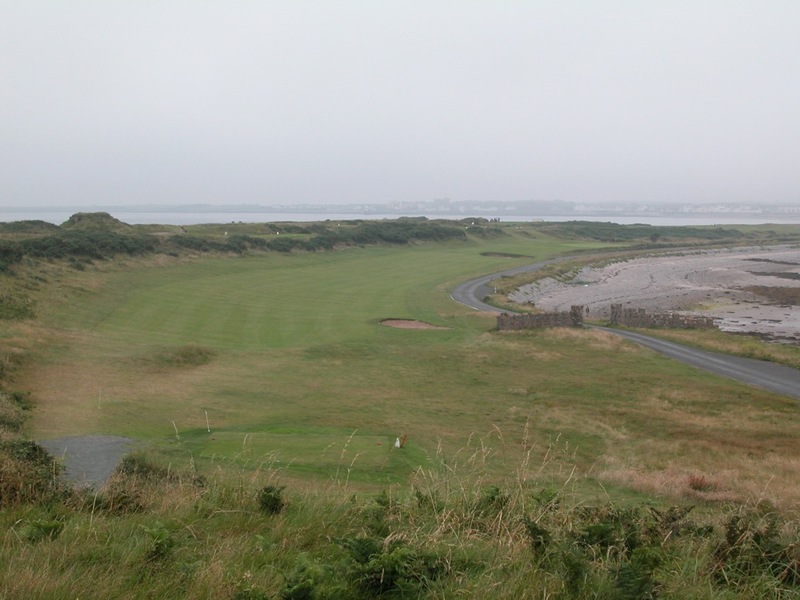 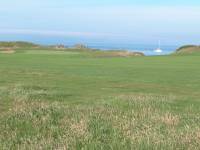 The 5th hole, Castletown’s “Road Hole,” is especially difficult. 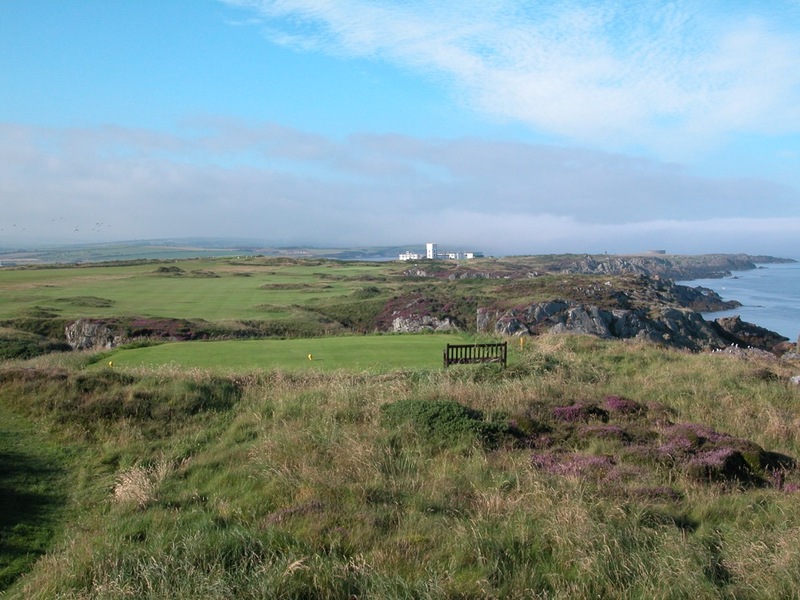 From high above the fairway, the tee shot must be threaded between the gorse-filled hillside on the left, and the Castletown Links club entrance road on the right, the beach out-of-bounds on the other side of the road, and everything sloping that way. 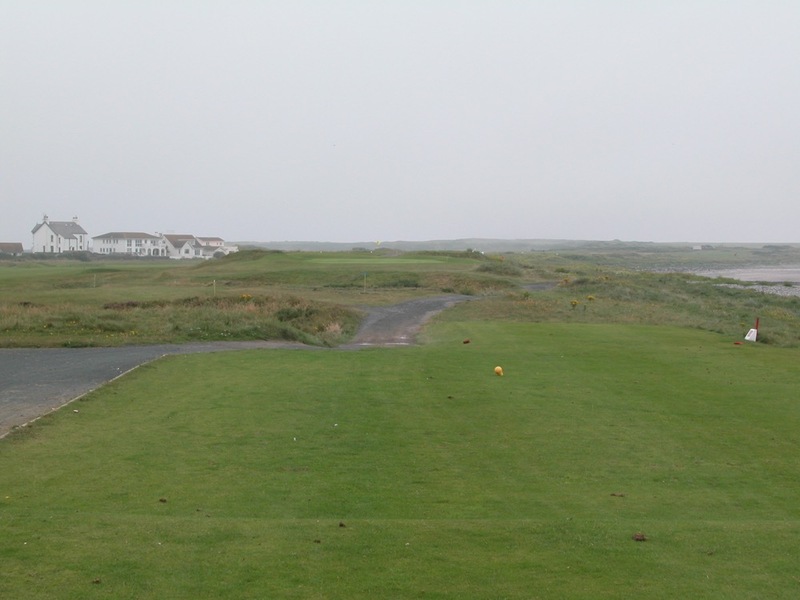 As if the shot wasn’t difficult enough, you often must wait for excruciatingly long periods of time to hit it, while the traffic makes its way to the club. 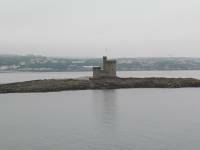 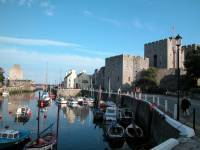 The rest of the course is a beautiful journey out to the town of Castletown, before heading back home along the sea. 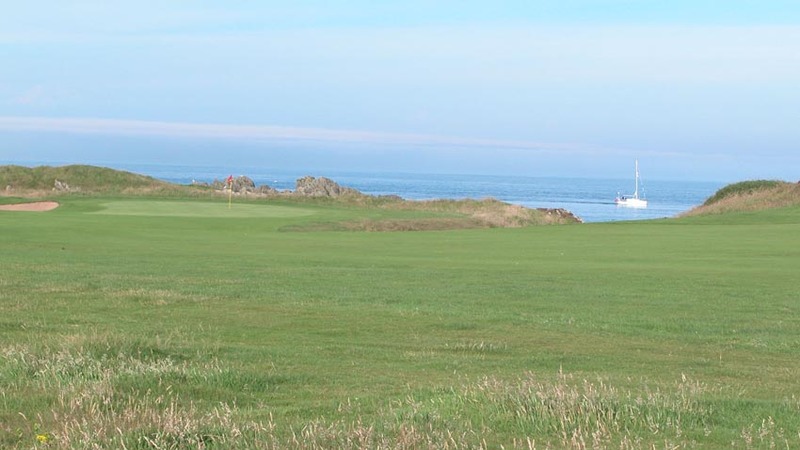 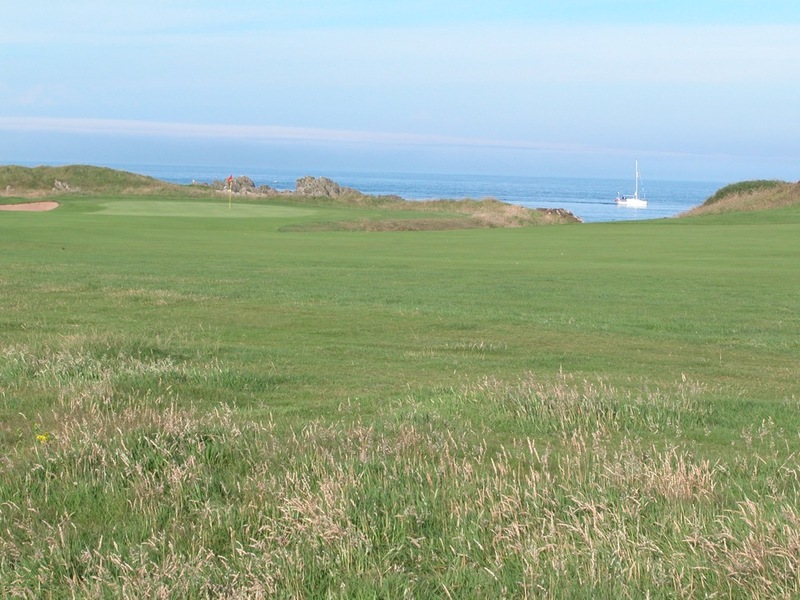 For those that have a sense of adventure and love to do something out-of-the-ordinary, we can think of nothing better than including Castletown Links and the Isle of Man on your England golf journey, it’s just a short and inexpensive flight from Liverpool!